We will deliver your mattress, take all packaging away and can even take your old mattress away. You have the peace of mind that if you want to exchange the mattress for a firmer or softer feel, we will do this free of charge. Mattress comfort guarantee, trial it for 7 nights. 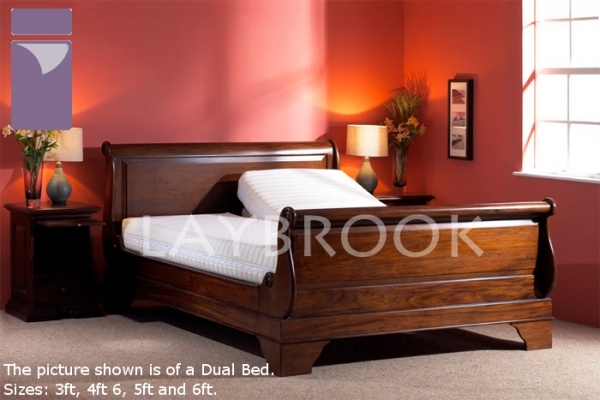 When you purchase a Laybrook bed you will automatically get a 7 night comfort guarantee. This means that you can sleep on the mattress for 7 nights and if it is not to your comfort level we will swap the mattress for a softer or firmer feel, free of charge, if you decide upgrade your mattress you will only pay the upgrade price. Laybrooks standard delivery and setup service is within 10 to 14 days of placing your order, Scotland, Cornwall and special orders may take upto 1 week longer.